This Community washable bed protector is warm, soft, comfortable and absorbent it will keep the sleeper dry as well as helping to reduce the bedding changes and will also help prevent soreness and infection. 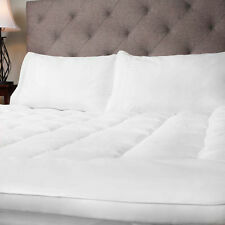 EXTRA DEEP QUILTED WATERPROOF MATTRESS PROTECTOR POLY COTTON ~ FREE P&P !!! 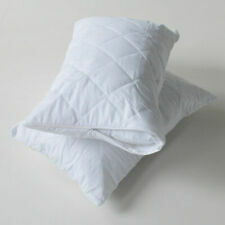 Caravan Microfibre Quilted Mattress Protector. Fabric: 100% Microfibre with hollowfibre quilting. 2 Piece Island and Bolster. These quilted tailored mattress protectors are designed to fit your shaped bed perfectly and are ideal choice to protect your mattress.